Throughout the years, AHB’s vision has been supported, strengthened, and expanded by numerous graduate, undergraduate, and vocational students. Since we’re in the midst of graduation season, we’d like to take a moment to recognize our recent AHB-affiliated grads (and soon-to-be grads)! Kimi Grzyb is a doctoral student in the Environmental Sciences Program at Oregon State University (OSU) and has been part of OSU’s Bioenergy Education Initiative since Fall 2012. She just defended her dissertation on using the Delphi technique to develop a college-level bioenergy curriculum framework. Keaton Lesnik is a doctoral student at OSU and has been working with the Bioenergy Education Initiative since 2015. His research focuses on varying aspects of bioelectrochemical systems including microbial fuel cell, microbial electrolysis and microbial electrosynthesis technologies. In addition, Keaton has been involved in several bioenergy outreach and education activities. 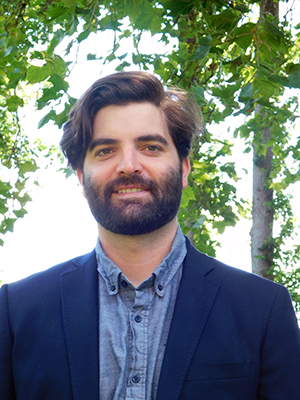 Adam Talamantes is a graduate student at OSU, studying bioenergy education. He has been involved with the Science and Math Investigative Learning Experience (SMILE) program for several years. 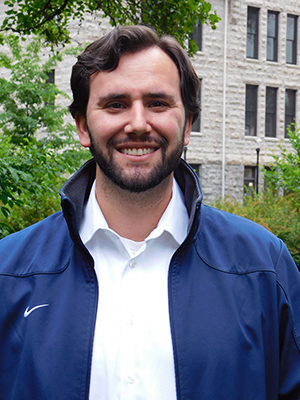 His graduate research revolves around integrating project-based learning into SMILE’s summer bridge program and evaluating the impact of the summer bridge program on college self-efficacy. 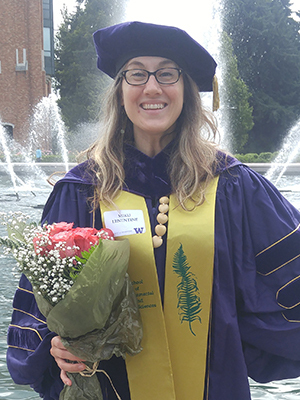 Miku Lenentine is a doctoral student in the Human Dimensions of Natural Resource Management lab at the University of Washington and will be defending her dissertation in July. Her research is focused on the social discourse surrounding biofuels and how it informs social perspectives on biofuels and bioenergy. 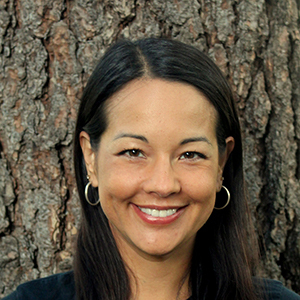 She is exploring the attitudes, perceptions, and values of a wide variety of different bioenergy stakeholders. 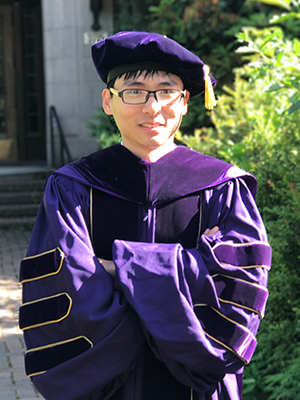 Chang Dou successfully defended his dissertation in Bioresource Science and Engineering at the University of Washington. He researched the utilization of xylose, the production of organic acids, and using post-treatments to increase sugar yields from poplar trees. The goals of his research are to make full use of the whole tree and maximize the overall sugar recovery and bio-oil yield. Congratulations to all of you and thank you for the work you’ve done for AHB! In addition to the AHB graduate students, we’d like to recognize the undergraduates who earned degrees as OSU bioenergy minors and the vocational students who completed Walla Walla Community College’s Plant Operations program. Some of AHB’s most lasting impacts will be its bioenergy and technical education programs. OSU Bioenergy minor students working in the lab (left) and presenting results (right). The bioenergy minor program at OSU has given students the opportunity to conduct exciting, cutting edge bioenergy research with real world applications, from designing more efficient biomass stoves to using recycled plastics to fabricate thermal insulation. Some of the bioenergy minor students have also been a great help to AHB’s education team, participating in bioenergy outreach to younger students. In 2014, Sean Atkins and Shanti Johnson graduated with degrees in bioengineering and chemical engineering. In 2015, Crystal Oldfield, Michael Gordon, Charlie Ta, James Boulger, Elijah Wilson, and Britany Swann received bachelor’s degrees in bioresource research, renewable materials, and chemistry. The 2016 graduates, Dylan Hinson, Mu Feng, Ethan Palioca, Cesar Juarez, Nicole Schrock, and Brian Dougherty pursued degrees in bioengineering, biochemistry and biophysics, microbiology, ecological engineering, and bioresource research. This year, William Wallach, Kenneth Warren, and Alec Eastman will graduate with degrees in bioresource research and microbiology. 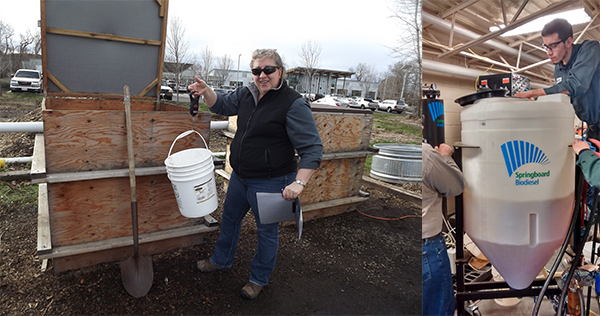 Walla Walla Community College Plant Operations students getting hands-on experience with composting (left) and biodiesel processing (right). Walla Walla Community College’s Plant Operations program is graduating highly qualified, competitive students ready to succeed in a wide variety of industries, from wastewater treatment to biorefining to food processing. The Plant Operations program provides students the opportunity to get hands-on experience operating and troubleshooting equipment like anaerobic digesters, biomass gasifiers, and steam boilers. Recently, student project posters won awards at the American Water Works Association Conference. To learn more, check out AHB’s most recent webinar. Diego Cruz and Tyler Green were the first WWCC Plant Operations graduates in 2015. In 2016, Ryan Christensen, Chris Madsen, Laurencio Cota, Sarah Nye, Ralph Schrattenholzer, Wayne Dean, and Clarence Hill III followed suit. This year, Michael Madsen, Hayley Tyus, Alex Clouzet, Francisco Carvajal, Leslie Pinza, Patrick Murff, Jose Acuna, Justine Jernee, Siro Diaz, Luke Kromm, Jarrod Burden, Ken Larkins, and Jordan Ketchersid will be graduating and more than half of them already have jobs. These graduate, undergraduate, and vocational students are the future of the bioenergy. We look forward to seeing where they take us!